It’s always a big deal when a car manufacturer launches a new vehicle. As the brand that created the luxury-utility crossover category with the original midsized RX model in 1998, Lexus is quite adept at developing innovative products. 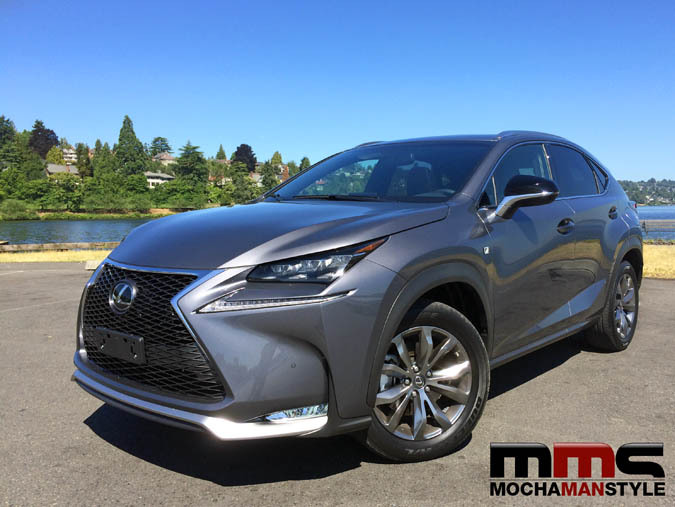 It’s latest innovation, the 2015 Lexus NX, is poised to entice a new generation of auto enthusiasts who demand luxury, performance, and utility. I joined several automotive journalists in Seattle, WA to test drive the new Lexus NX. It had been over a decade since I last visited Seattle and I was eager to see how the city had changed. The next day, I made a bee-line to the F SPORT model. The iridescent grey paint, glistened in the sunlight and drew me towards it like a moth to a flame. However, I wasn’t the only one smitten by the alluring F SPORT. “Oh, I see you got here first.” I looked over my shoulder to discover, Chris, a smartly dressed journalist from San Francisco. 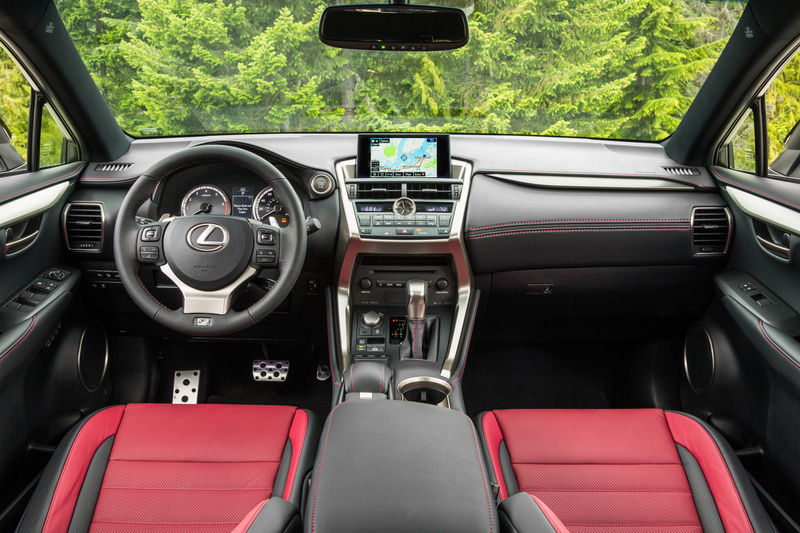 Stepping into the Lexus NX felt like stepping into a sports car. The bold instrument panel, leather-wrapped steering wheel, paddle shifters, and racing inspired seats combine made me giddy with excitement (I don’t usually get giddy, but the interior had that affect on me). Chris and I immediately noticed one new feature, the Remote Touch Interface (RTI), which replaces the previous joystick with a touchpad in the center console. We both hated that joystick and were glad to see it gone. However, we were ambivalent about the RTI. It seems like a good idea, but I will have to interact with it some more to determine if it is actually an improvement. Lexus had already planned a route for us. Chris had no idea who Sir Mix-A-Lot is. I relented and input the approved coordinates in the Navigation system. Lexus has upgraded this system with some significant improvements such as predictive traffic information, detour preview, ETA calculation, low-fuel coordination with nearby fuel stations, and 3D and bird’s eye map views with 3D building views. As we drove, Chris and I talked about several topics including cars, mobile technology, and Chris’ hometown of London. The Navigation system kept interrupting our conversation with traffic updates and route recalculations. Chris and I had a running joke about the Navigation system’s nagging us like a British nanny. We fully expected the voice to start scolding us for ignoring her (maybe Lexus will add some A.I. capability in the next version). On the highway, I switched the dial to Sport mode and floor it. While it didn’t perform as well as the IS, I was impressed by the NX’s acceleration and speed. 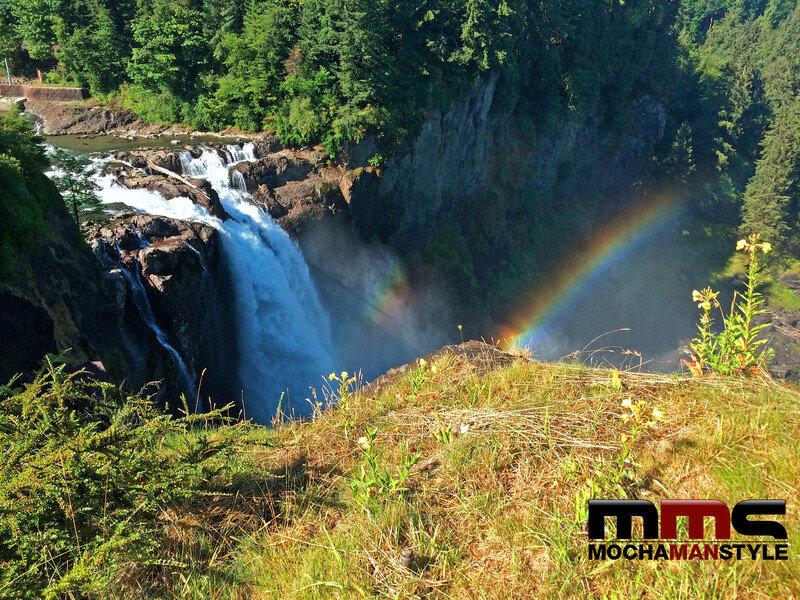 As we neared our destination, Snoqualmie Falls, I asked Chris his opinion on the World Cup results. “Do you want to listen to the Active Sound Control?” I said to change the subject. This feature enhances the auditory experience by amplifying engine sounds through a dedicated speaker. Chris and I were thrilled to hear the engine’s roar, but the NX’s target market (think Millennials who like mountain biking and Starbucks) may consider this feature to be extraneous. When we arrived at the Falls, Chris and I snapped a few photos and went back to reclaim our vehicle. We could have chosen one of the other models to test, but we were addicted to the F SPORT performance. I exited the lot and drove the NX pretty aggressively through the winding roads. The engineering team’s racing experience comes through in the way the 2015 Lexus NX handles curves. Although the NX is more top-heavy than the IS, it held the road tightly and made smooth transitions through the turns and into the straight-a-way. I looked over at Chris and I could tell that he was a bit nervous as I raced around the bends. During my joyride, the Nanny, I mean Navigation system, kept telling me that I was going the wrong way. “You disregarded the GPS so you could drive down these roads, didn’t you?” Asked Chris. On the way back, we stopped near a lake to take a few photos of the NX. While photographing the vehicle, we caught the attention of a local resident who looked like “The Dude” from The Big Lebowski. We proceeded to tell him all about the NX and he nodded as if we were gurus spewing knowledge from atop Mt. Rainier. Overall styling especially the front and tail lights. Backend. He thinks it’s a bit too bulbous. Front grille. He prefers more subtly. Too similar to RX. He didn’t see a good market position for this vehicle. The Dude even gave us his estimate for pricing, around $42,500 for the F Sport Model. He also thinks that Lexus should market the NX to senior citizens who appreciate luxury but want a simpler lifestyle, or teenagers with rich parents. We’ll have to wait until fall to see if Lexus abides. Overall, I enjoyed driving the new 2015 Lexus NX F SPORT. It was fun, nimble, and comfortable. Although some of the design features may alienate some consumers, I’m glad to see Lexus taking a few risks in a segment populated by boxy SUVs. 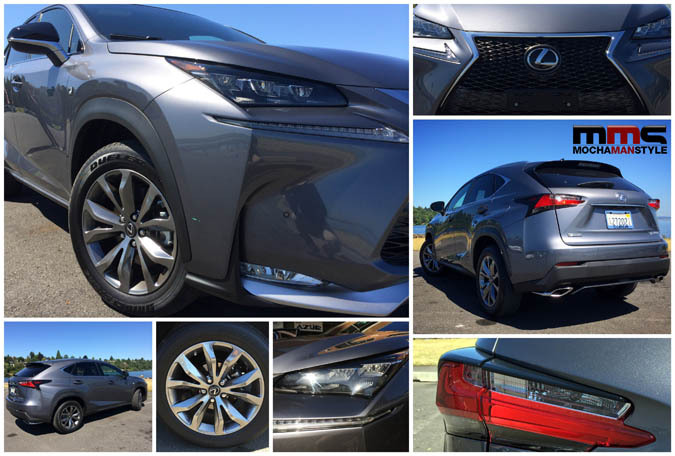 The NX F SPORT successfully combines Lexus’s tradition of luxury with modern styling and aggressive performance. For more information on all of the models in the Lexus NX lineup, visit the Lexus website.